Resident Evil 7: Biohazard (Resident Evil 7) is not for the faint of heart. 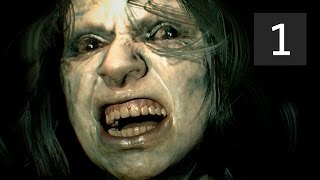 Resident Evil 7: Buy Biohazard - the most anticipated event of 2017 among fans of tickling nerves and getting into a virtual horror movie. The game project, like the previous six parts, is part of a large media franchise, including the popular Resident Evil full-length movies, books and comics, as well as a series of collectible action figures with plot characters. All parts of the game, and the first one appeared back in 1996, were very popular among players and had a significant impact on the development of the survival horror genre, in an approximate translation it sounds like surviving a nightmare. As the name implies, the main bet is that the hero must overcome all difficulties and cope with the tasks set without remaining alive, and the authors try to make his path filled with fear, monsters and trials that chill blood. Play the game Resident Evil 7, unlike the previously released games, will have to be first-person, thanks to this, users will be able to more realistically feel everything that is happening on the monitor, will add the thrill of being able to connect a PlayStation helmet. The action movie genre is a thing of the past, this version promises to be more focused on survival in extreme conditions, with a small amount of resources and a large number of enemies. The plot itself is quite cruel and filled with horror scenes. Before you get into the world of fear and danger, you must download Resident Evil 7, this game is a client, so you can not do without downloading the program. System requirements for personal computers are not yet known, the authors have so far announced that the game will run under Microsoft Windows, although there are versions for the PlayStation 4, PlayStation VR and Xbox One. Resident Evil 7 plot features (Resident Evil 7). Women with disabilities chained to a chair, I do not name her. B Resident Evil 7: Biohazard will have to play in the role of Ethan. This character is faced with incredible events, the letter leads him to an abandoned house, this is how Mia should be. The house is ominous, before meeting his wife, Ethan, you need to solve many puzzles and find all the necessary things that tell the story of Mia’s disappearance. To help the hero receives calls from a certain Zoe, she tells him that after the character has entered this house, he can only get out through the attic.
. In time, it will become clear to the players that there were also masters in this mansion, they are aggressive and not mentally balanced. Ethan must try to kill them in order to stay alive, but it turns out that they are infected with something, this substance makes them immortal. The action takes place not only in an abandoned mansion, but also on a wrecked ship. And then they fall into the old salt mines and of course the laboratory. The developers promise players an unexpected ending. 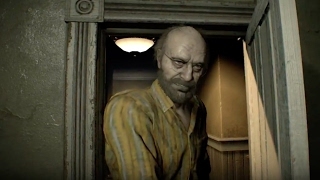 In Resident Evil 7: Biohazard (Resident Evil 7), there are few weapons and ammunition, so users will always have to decide what to do, waste the remaining cartridge or hide and wait out the danger, and maybe just bypass the enemy from behind and turn off for a while because the opponents are immortal.